EUR lost its momentum due to the Germany 10-year government bonds yield decline and on the other hand, many European markets were closed so there were not any effective economic reports. 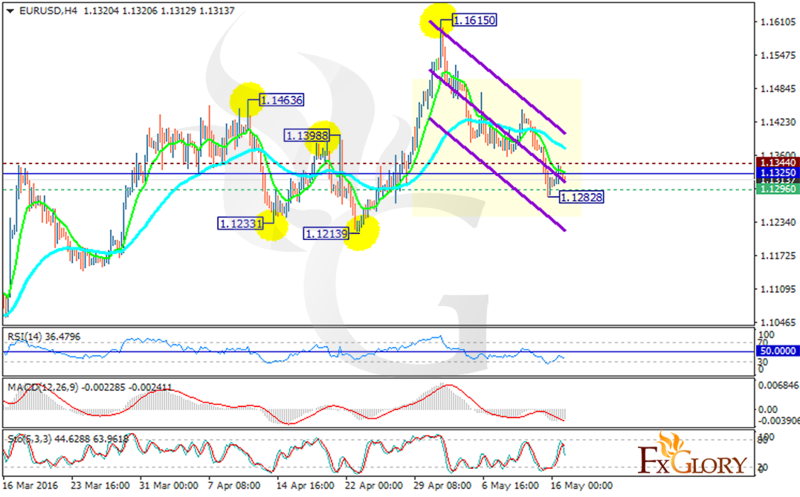 EURUSD has been moving with bearish bias within the descendant channel since 3rd of May and is finding support at 1.12960 with resistance at 1.13440 and the weekly pivot point is staying in between at 1.13250. The EMA of 10 is located below the EMA of 50 suggesting the price movement in lower ranges in the past 10 days. All indicators are showing price decline; the MACD is in negative territory, the RSI is below the 50 zone and the Stochastic is showing negative momentum. The bears will stay at this chart to touch 1.1260 level.